Tuesday, 28. 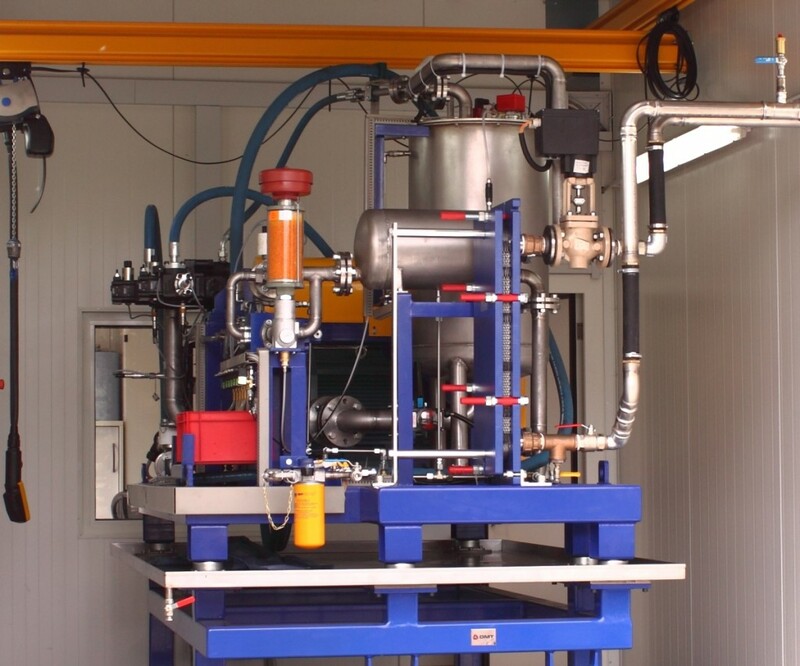 May 2013 The Lubricants business line of Rhein Chemie Rheinau GmbH has officially started up a new installation at its Technical Competence Center in Mannheim, Germany, to test hydraulic additive packages. Rhein Chemie invested EUR 750,000 in the Parker Denison testing installation for hydraulic fluids. The system tests the performance of an additive package in combination with a basic oil in a T6H hybrid pump from Parker Denison. Mannheim, May 28, 2013 – The Lubricants business line of Rhein Chemie Rheinau GmbH has officially started up a new installation at its Technical Competence Center in Mannheim, Germany, to test hydraulic additive packages. Rhein Chemie invested EUR 750,000 in the Parker Denison testing installation for hydraulic fluids. The system tests the performance of an additive package in combination with a basic oil in a T6H hybrid pump from Parker Denison. “The investment is a clear sign of our commitment to developing and strengthening our product portfolio in the industrial lubricant additives segment, and it will further advance our growth in the hydraulic segment. Our global competence in developing additives for hydraulic liquids is concentrated in our technology center in Mannheim. In our pump testing installation, we test additive packages against the most rigorous and globally recognized OEM specification for hydraulic oils, the HF-0”, said Philipp Junge, head of the Lubricants business line, Rhein Chemie Rheinau GmbH, at the opening celebration. “Furthermore, we use this installation to conduct tests on behalf of our customers.” Only 12 of these special testing installations are in active use worldwide. The complex tests each take four to five weeks. To meet the ever increasing demands imposed on the energy efficiency of hydraulic oils, hydraulic systems are becoming more and more compact, their power density is rising as a result and maintenance intervals are getting longer. Additives must live up to these higher demands by improving the thermal oxidation stability of the liquids, preventing sludging at elevated temperatures and offering advanced anti-wear properties for a long service life. Hydraulic packages from Rhein Chemie are made up of different individual additives which represent the different performance areas, such as corrosion inhibition, anti-wear and oxidation stability. The secret of a high-performance additive package is the perfectly balanced concentration of its individual ingredients. When it comes to the most important components – the anti-wear additives – Rhein Chemie has the major advantage of backward integration. In other words, over 50 years of synthesis experience in the field of zinc dithiophosphates goes into developing the packages.